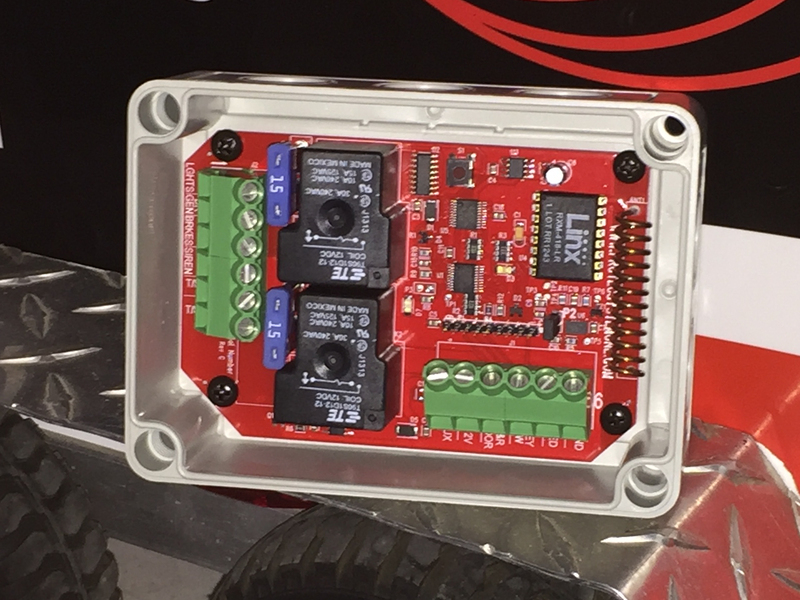 Pro-Tec System One Control Unit – Monitors all doors and any movement of trailer by means of adjustable accelerometer and pin switches. Contained in a weather resistant plastic mounting box. The PRO-TEC System is designed to monitor and protect the trailer and it's contents. 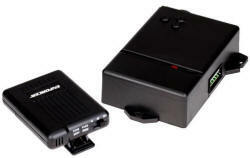 Any movement of the trailer will be detected by the built in, adjustable accelerometer, or the opening of a door. This will cause the electrical brakes of the trailer to be applied in addition to the sounding of the ~120db waterproof siren provided, and the flashing of your trailers running lights. The PTS-2 is also equipped with a low battery alert system. 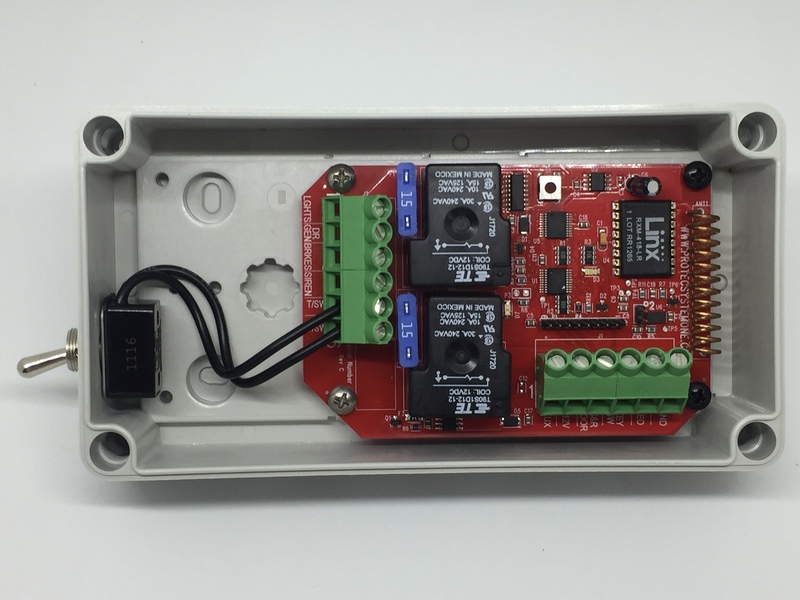 The system is remotely controlled and comes complete with all hardware and universal door switches. You supply the wire and an automotive type battery, preferably mounted inside the trailer. Optional switches and motion detectors are available for professional installations. (Motion detector is to be used to sense motion inside the trailer, NOT the motion of the trailer). Motion detector has both K-band microwave and PIR technology. PRO-TEC System has been designed specially for easy installations. enclosure and already mounted the brake safety toggle switch for you. Pager range up to 1/2 mile. Antenna not included. No monthly fees. Remotely arm/disarm the alarm via computer, smartphone or tablet. System is mounted in a 7"x7" container with the brake safety toggle switch also mounted in the box. 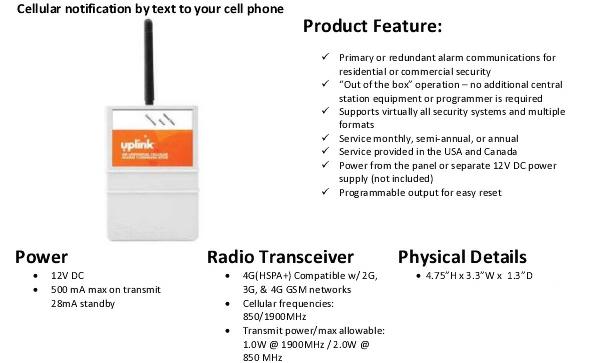 Our GPS device uses the latest LTE services, unlike some that utilize an expiring 3G service. Do you live in Canada? NO PROBLEM! We can handle that. Since we don't keep those units in stock, it will take us a few extra days to get that unit, and the yearly fee will be slightly higher.